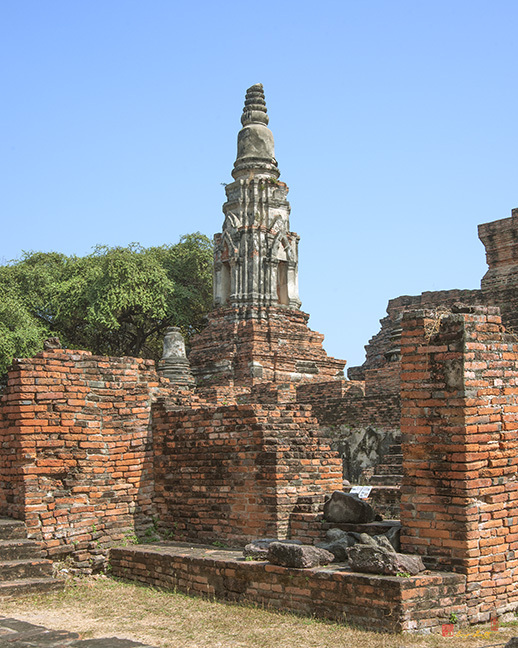 As shown in the Historical Records of Luang Prasert, Wat Phra Ram was built in 1912 B.E. 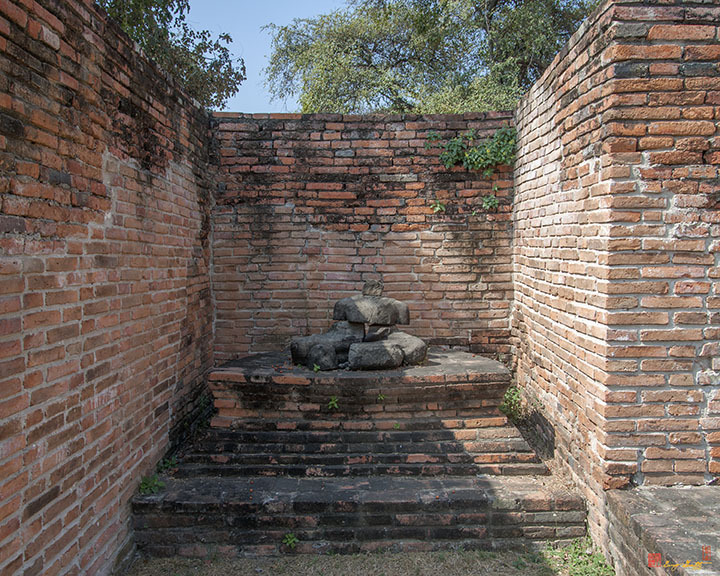 (1369 AD) by King Ramesuan on the cremation site of his father, King U-thong. 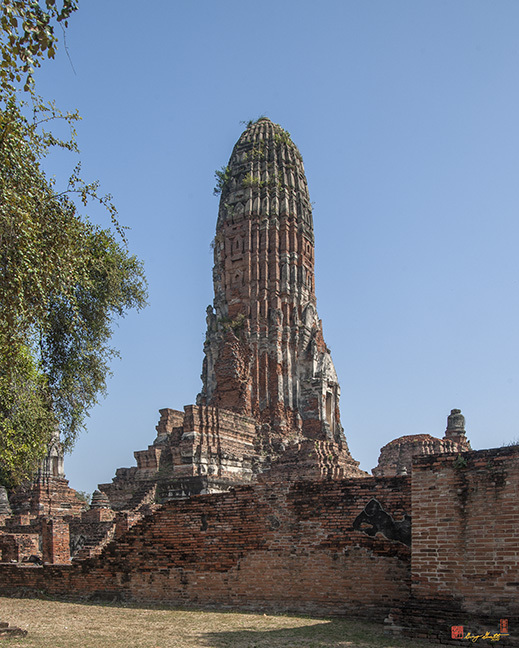 Itis assumed that the construction was not completed immediately since his reign was only for one year. 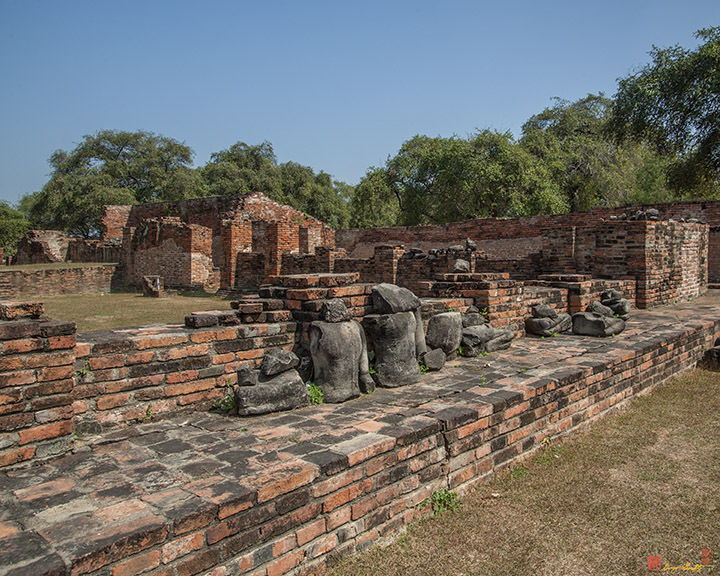 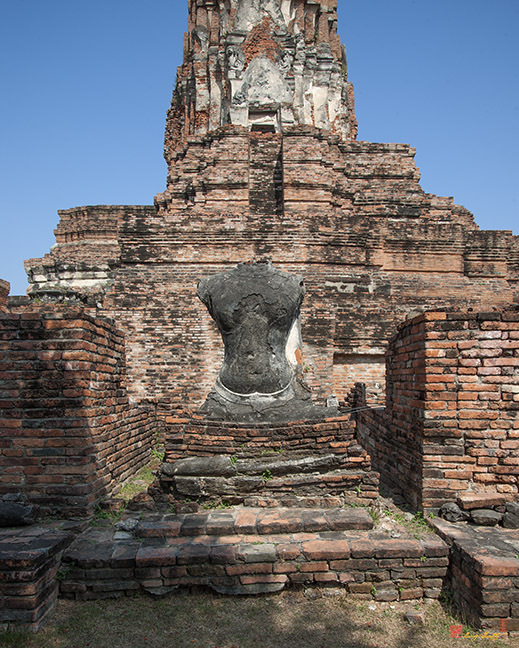 It is possible that King Borommarachathirat I completed the construction or that King Ramaesuan himself completed it when he re-assumed the throne after the death of King Borommarachathirat I. 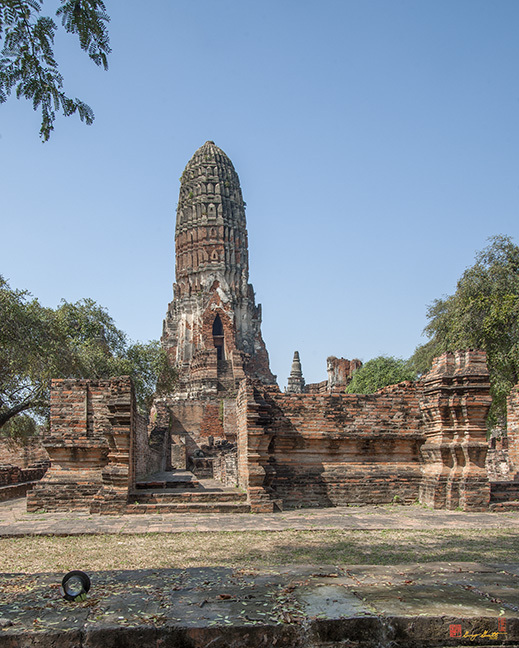 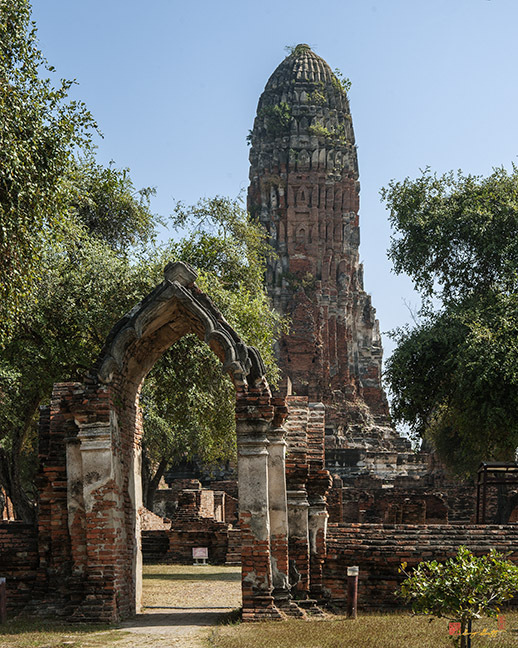 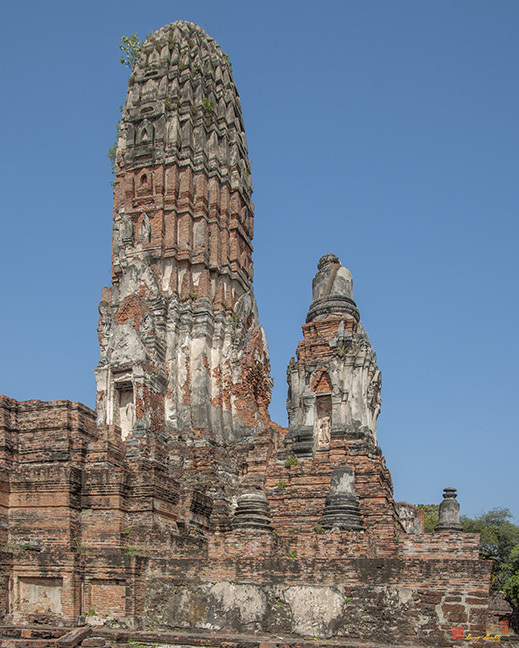 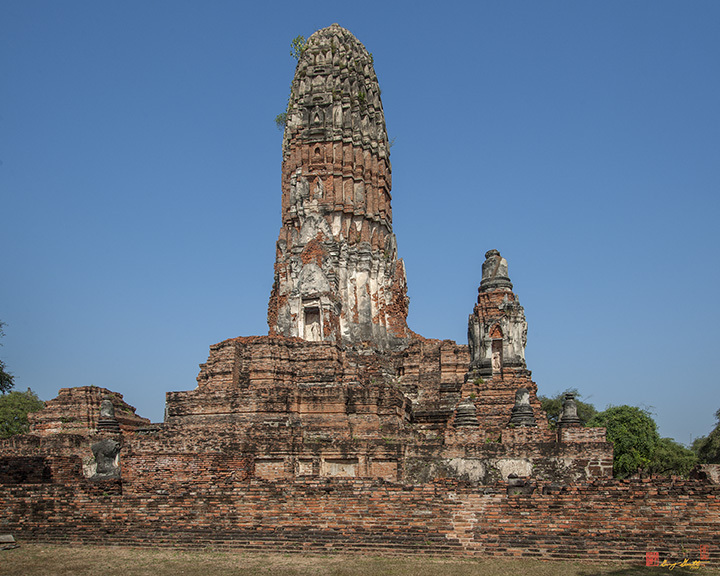 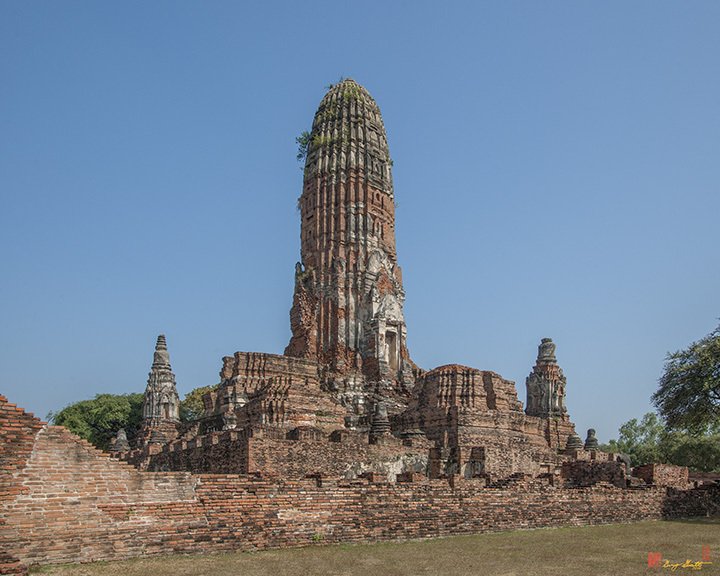 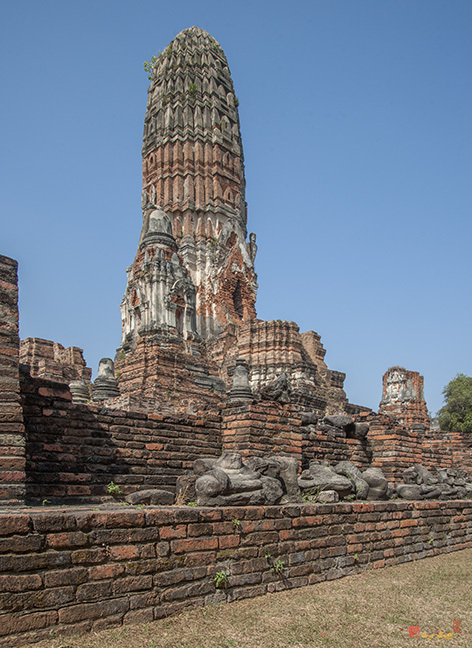 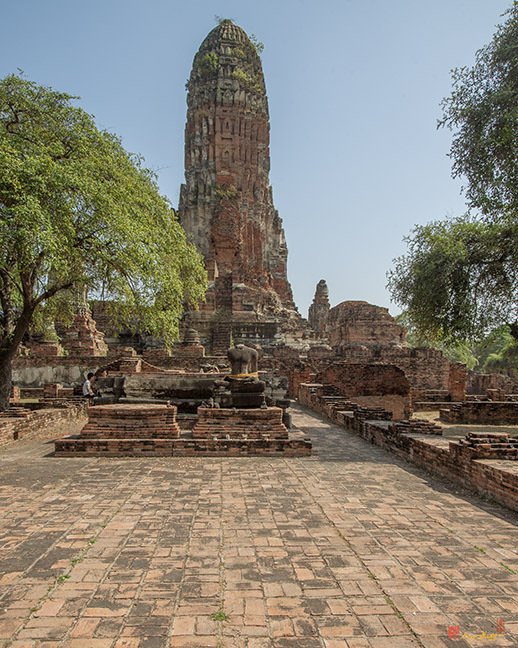 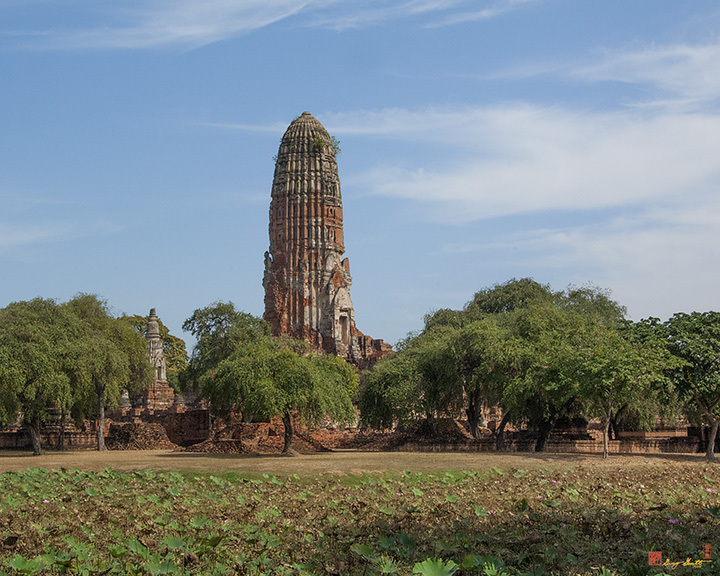 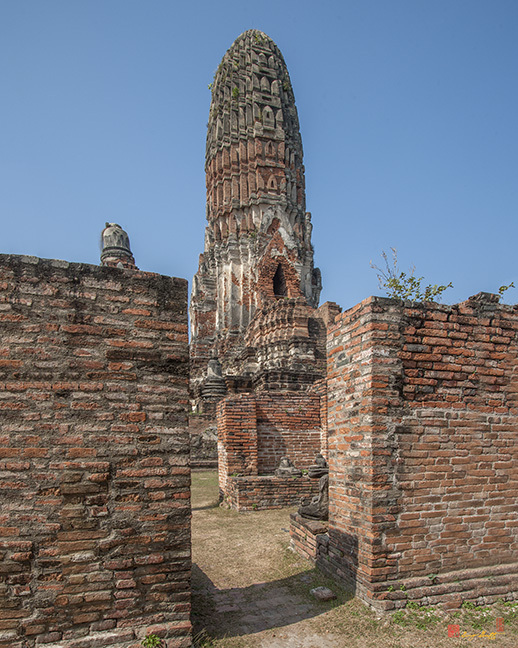 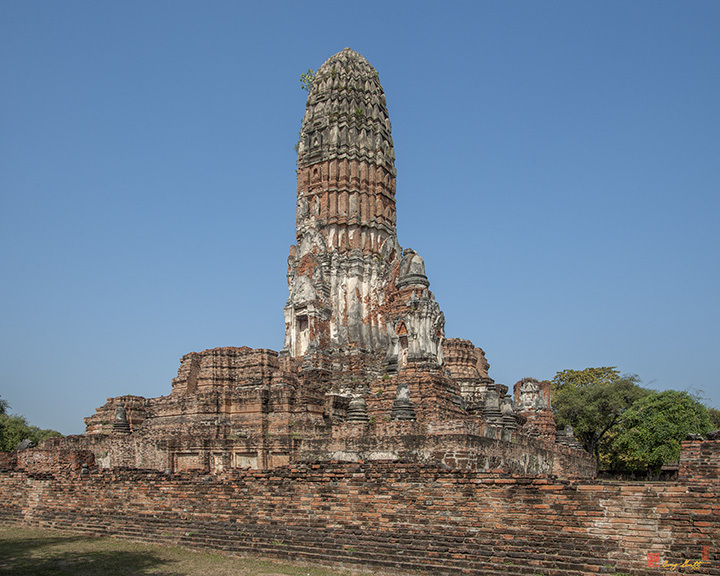 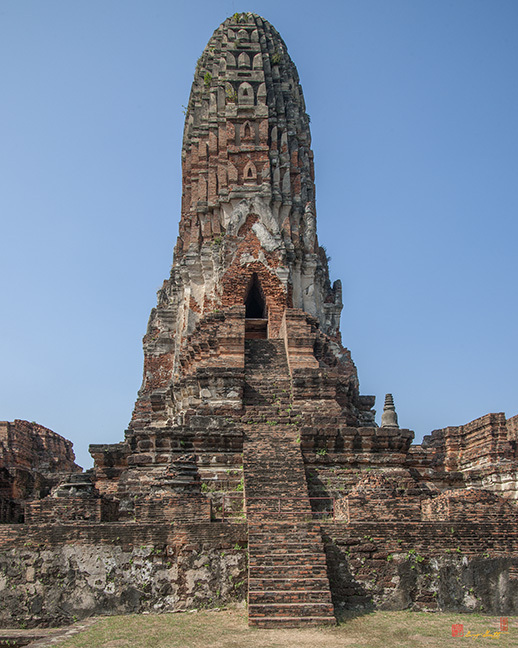 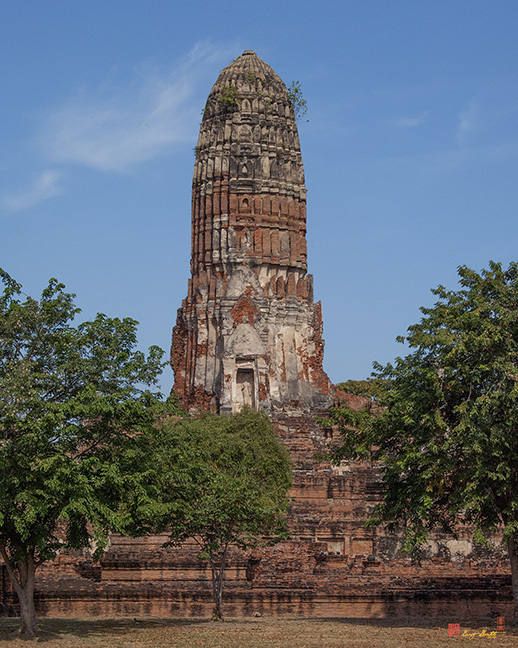 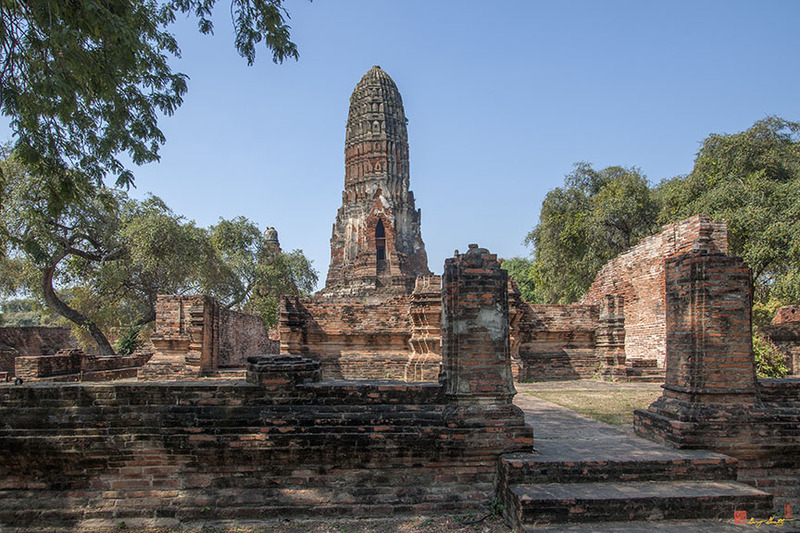 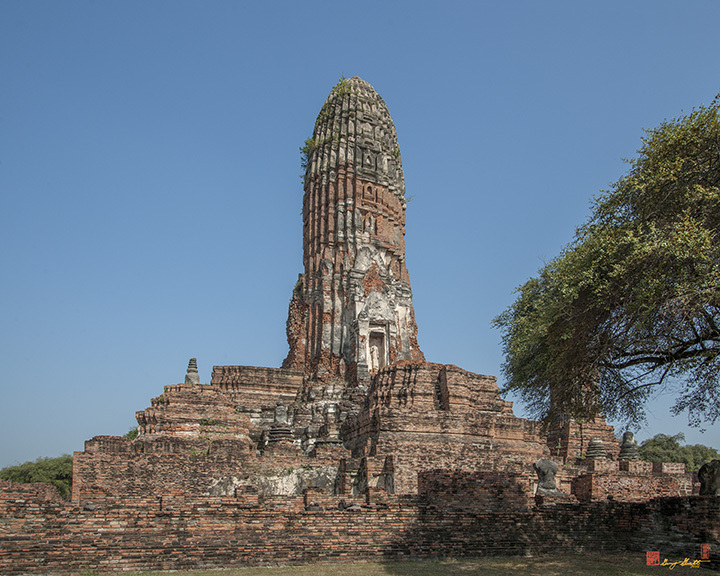 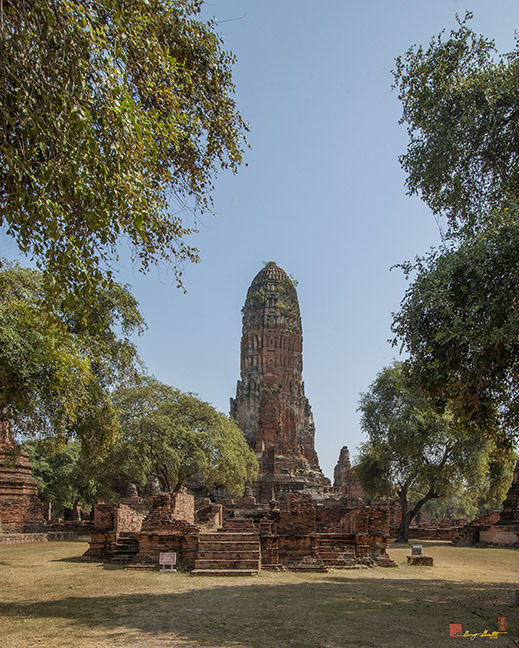 The temple has been restored several times since it is located close to the site of the Ayutthaya palace, including when the "Great Period of Restoration" during the reign of Kin Borommatrilokkanat during which all temples in the Kingdom were restored. 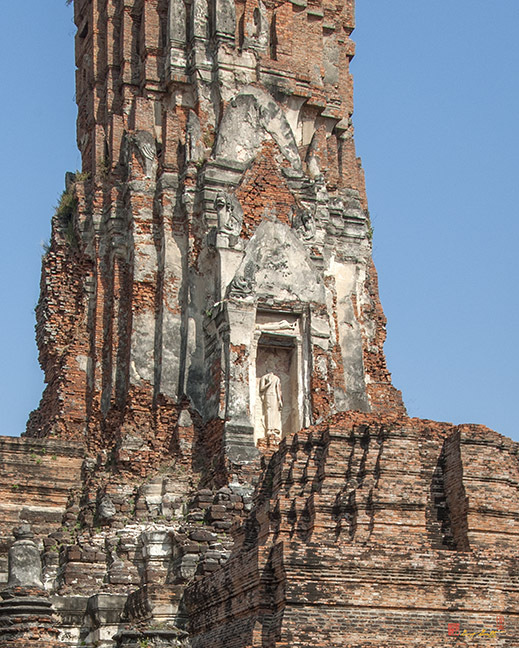 It was restored once again by King Borommakot in 2284 B.E. 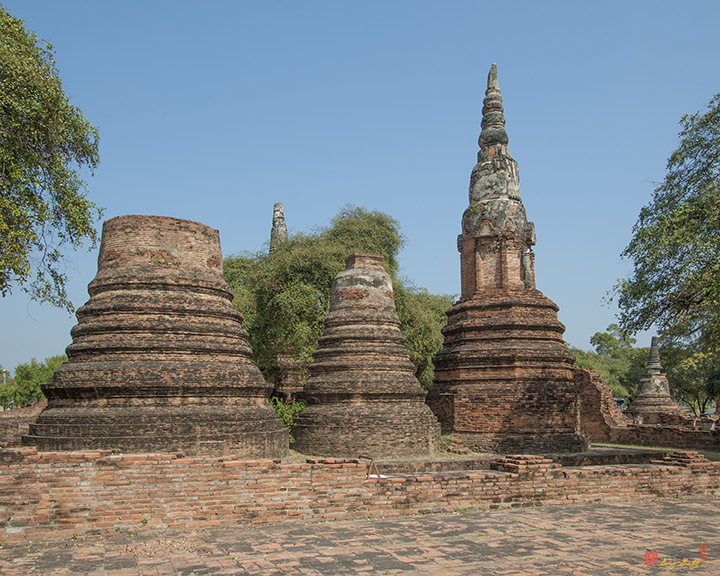 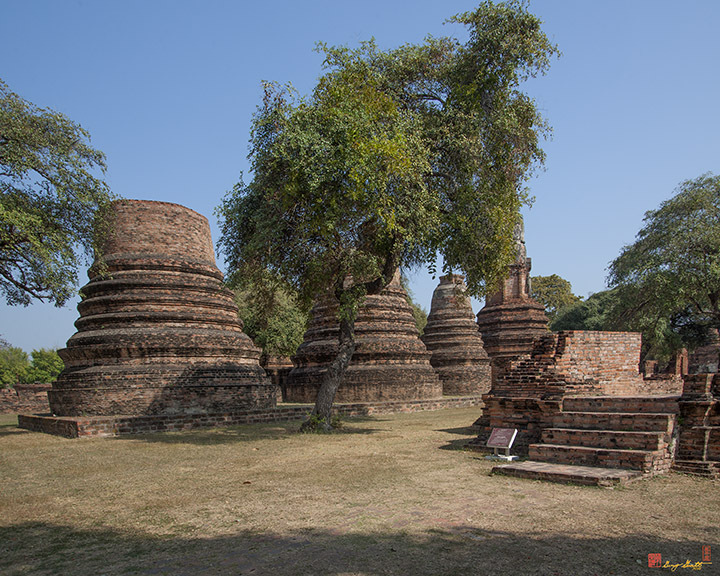 (1741 AD) Today, the most noticable remains of the temple are the large Central Prang and several large Chedis. 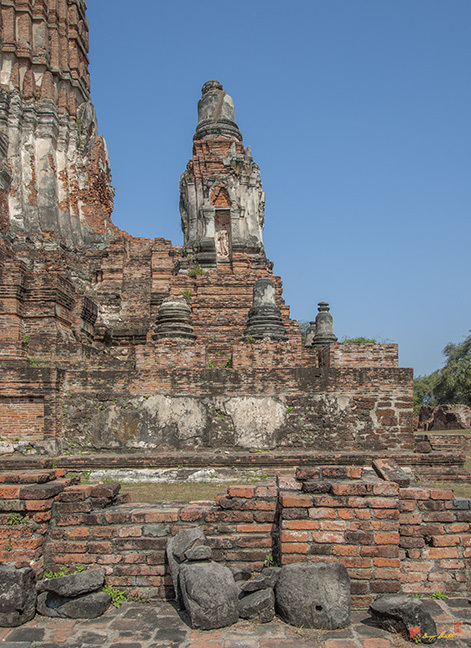 Surrounding the temple on two sides is a large pond called "Nong Sano". 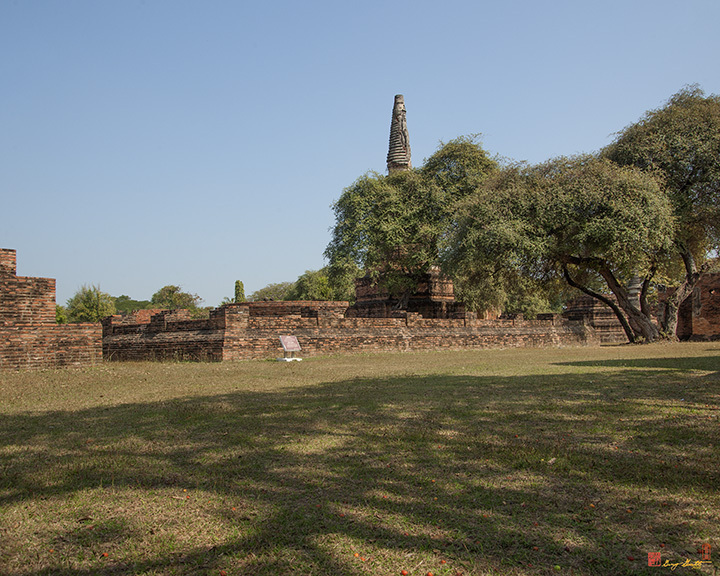 This pond existed before Ayutthaya City was established and was then much smaller. 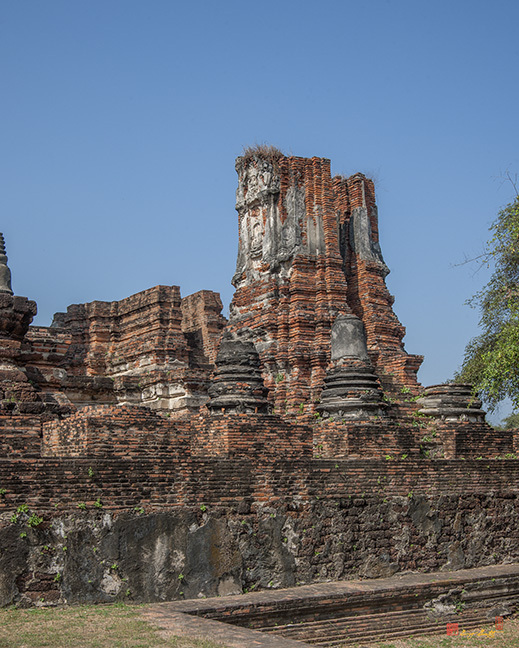 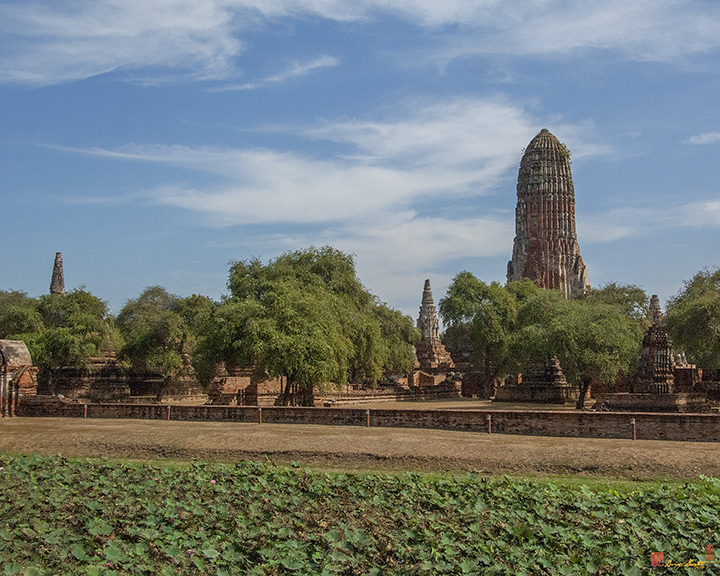 During the building of Ayutthaya City, the earth around the pond was dug out and hauled away for construction. 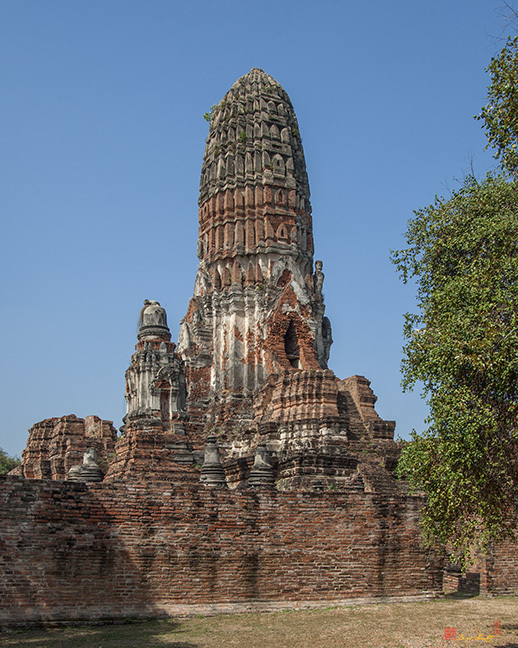 This made the pond larger as seen today. 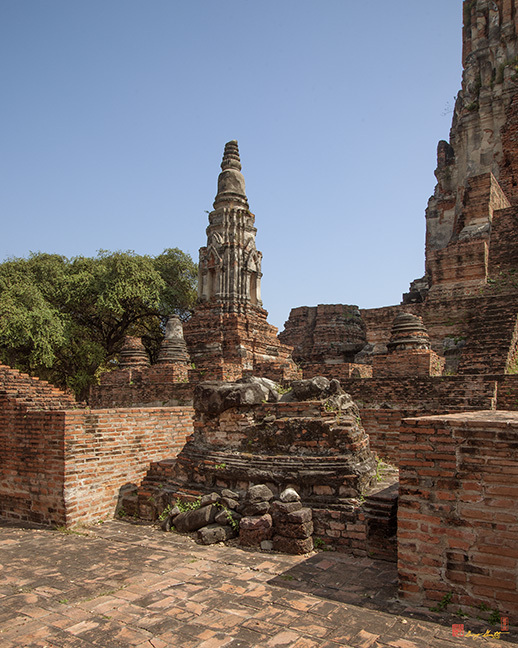 The pond was originally called "Bueng Cheeken" in the Royal Ruling and is presently known as "Bueng Phra Ram" (Phra Ram Pond).